Is car hire excess insurance the same as car hire insurance? No, they are different things. We cover you for the rental excess costs you’ll need to pay should you incur damages or theft to your hire car. In essence we cover the gap between what is covered by your actual car hire insurance and the cost of any damages to the vehicle. Simply put, if you damage the car while it is in your possession, the car rental company will assess the cost to repair the damage incurred and will charge your credit card an excess – that is the amount we reimburse you with. What if I write-off my hire car? If you damage a rental car during your hire period you will be required to pay the excess amount specified in your rental agreement. Relax as we've got this covered. Whether it's a tiny dent or totally destroyed we still cover your rental car excess. What types of rental vehicles do you cover? We cover campervans and motorhomes that does not exceed 4.5 tonnes. This also includes sedans, hatchbacks or station-wagons, four wheel drives, and mini buses/people movers, which you have hired from a licensed motor vehicle rental company. Our policy covers you for all licensed rental companies such as Hertz, Europcar, Avis, Budget or Thrifty. Can I buy car hire excess for loan cars when my vehicle is in repairs? No, even if you're liable for a small excess on your loan car we can only provide car hire excess insurance for licensed rental companies such as Hertz, Europcar, Avis, Budget or Thrifty. I'm hiring two separate vehicles, can I buy one policy to cover both? No, as you will be liable for two sets of collision damage fees from your hire car company, we require you to purchase two separate car hire excess policies too. Should I tell my rental vehicle company that I already have car hire excess insurance? No, it’s not necessary to tell them. Just make sure you say no when you are offered cover at the counter – you certainly don’t want to end up doubling up on your cover! A nominated driver are those persons named on your Rental Vehicle Agreement. Am I covered if a person other than nominated driver drives the car? No, only those named on your Rental Vehicle Agreement are insured. We can only insure those named on your rental agreement. If you want to add additional drivers you must do this at the rental depot when you pick up the car. Cover is available to those aged between 21 – 75 years of age (inclusive). I’m not an Australian resident. Can I buy a policy? Yes, if you're planning to hire a car for travel within Australia you can purchase a policy regardless of your country of residency. If you're planning on hiring a car overseas, Australia must be the place where you reside as your permanent home and you must be returning to Australia. Can I drive from one state to another within Australia? Yes, you can drive as far as you like. We do not impose any distance restrictions. If you decide to drive from Sydney to Perth – more power to you! Am I covered if hit an animal? We will match the same terms as your car rental company. If they do not cover you for hitting animals, then we are unable to cover you either. Am I covered for driving on unsealed roads? We will match the same terms as your car rental company. If they do not cover you for driving on certain roads then we are unable to cover you either. Am I covered for single vehicle accidents? Yes, we cover single vehicle accidents assuming your rental company does too. In some cases, you may need to pay an additional fee to your hire car company in order to be covered for single vehicle accidents. Am I covered for accidents regardless of fault? We will only match the same terms as your car rental company. If they do not cover you for accidents where you were at fault, we will not either. Am I covered if I hire a car overseas? Yes, as long as you're an Aussie resident we don’t mind if you renting a vehicle at home or away. You get the same great cover no matter where you are. What if i’m too ill to drive? If a medical advisor certifies that you’re not fit to drive, we will pay up to $500 for the cost of returning your rental vehicle to the nearest depot. Your period of cover starts when you collect your rental vehicle from the hire car company and ends when you return it, or on the end date on your Certificate of Insurance - whichever comes first. You cannot be covered if you do not already have a policy when you pick up the vehicle. Yes you have 14 days to cancel and receive a full refund provided your policy hasn't started. Sure! Give us a call on 1300 101 511. If you would prefer to request an extension via email please do so 72 hours before your original policy expires. The excess amount insured with us starts at $4,000 and can be increased by increments of $1,000. The maximum you would be covered for is $8,000. We will not cover you if you were to violate your rental agreement in any way. If my rental vehicle is stolen am I covered for belongings I had in the car? No, we do not cover you for any items, luggage or belongings that you may have left in the hire car. Does an excess apply to any claims I make? No, we do not charge you an excess when you need to make a claim with us. You won't have to pay a thing, zero, zip, zilch, nada! Making a claim with us is oh-so -simple. Just download and complete the claim form and send us a copy of your rental agreement, plus a receipt of the amount you’ve been charged. For more information check out our user friendly guide to claiming. Does my CHE policy cover for the rental car admin fee should I have an accident? No, we only cover the damage waiver fee you are liable for. We do not cover any administration fees you may be charged by your hire car company if you have had an accident. 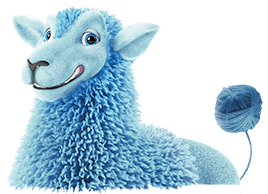 Call our sheeple Monday to Friday between 9:00am - 5:30pm on 1300 101 511 or email our friendly flock at [email protected].